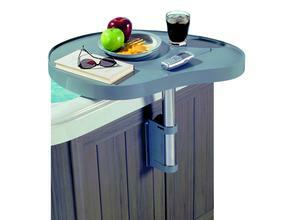 Keep beverages close at hand in your spa with our Swing Caddy Tray. A serving tray attached to your spa — what a great idea. 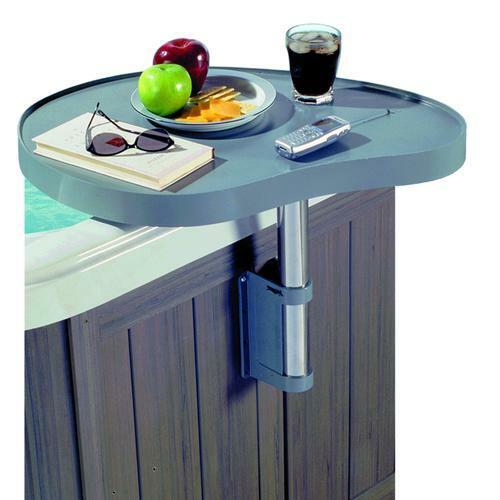 Mounted with a bracket and screws, this handy tray backs away to clear your spa cover and pivots in when you're ready to serve drinks or snacks. This polystyrene and powder-coated aluminum Swing Caddy is 27-in. x 19-in. and is weather resistant.